MCG uses art and STEAM as a vehicle to mentor urban youth, increasing high school graduation and encouraging post-secondary education. Based on Bill Strickland’s guiding vision of “environment shapes behavior,” Manchester Craftsmen’s Guild (MCG) is dedicated to educating and inspiring urban youth through the arts. Founded in 1968 as a community-based ceramics program, MCG has grown to incorporate STEAM-based learning into its four art-making studios. Statistics show that 98% of students who attend MCG graduate on time. Manchester Craftsmen’s Guild is dedicated to educating and inspiring urban youth through the arts. Founded in 1968, this acclaimed arts education program has a storybook-like history. Started by an at-risk teenager in one of Pittsburgh's poorest neighborhoods, MCG is now housed in a world-class facility on Pittsburgh's North Shore, where students are surrounded by art, architecture, music, food, flowers, and natural light. The founder, Bill Strickland, was a struggling high school student by his own admission. One fateful day he passed the open door to the art room where teacher Frank Ross was working on the potter’s wheel. Awestruck by the sight of a skilled artisan, Strickland approached the teacher. Over the coming months, the relationship that Ross and Strickland initiated with a revolving mound of clay began to give form to the future vision of Manchester Craftsmen’s Guild, Bill Strickland’s vision for a school. Today, MCG’s flagship program is afterschool art classes, provided at no cost to Pittsburgh Public School students. Additionally, MCG serves a variety of students through daytime programming. This includes some of the most disadvantaged youth in Allegheny County through a partnership with the Department of Human Services, as well as a variety of partnerships with private and charter schools. Students learn from and create alongside MCG's teaching artists, who are all practicing, professional artists. In addition to being full time employees (with full benefits) MCG's teaching artists are celebrated annually with a staff exhibition and reception. Several of our teaching artists are former MCG students, which further illustrates the value of our program. The primary goal of engaging students through the arts is to build confidence and facilitate the mentoring process, however students also gain practical skills and a more complete understanding of science and technology. Since our inception, students in our ceramics studio have been learning chemistry, and photography students have been applying math. Recently our digital arts students have been learning materials science, especially with regard to 3-D printing, CNC routing, and laser engraving. MCG engages families and the community in several ways. We host three open-house "family nights" annually. We also host several free public art events, a component of our artist in residence program, and we offer art classes for adults (with discounts and Act 48 credit hours for educators). Our replication efforts have established more than a dozen sites in North America, and one very special site in Acre, Israel, where Jewish and Arab students learn side by side, the same way black and white students do in Pittsburgh. These efforts would not be possible without strong partnerships with local, state, federal, and even international governments. 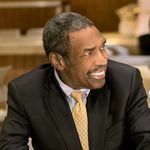 Our founder, Bill Strickland, sat on President Obama's Council for Community Solutions and will soon join Pittsburgh's mayor on a trip to India to once again meet with the Dalai Lama. MCG’s teaching artists serve as the primary student mentors, however students are also provided with access to a robust student services department, which includes a dedicated college and career planning counselor. Our annual survey of senior shows that 98% of interviewed students who attended MCG graduated on time, 92% planned on enrolling in post-secondary education. An organization such as MCG requires significant resources, specifically a suitable building, talented and enthusiastic staff to implement the programming, as well as a stable support staff, a diverse stream of funding, and partnerships with the school systems, the government, and the community. Our replication division, known as the National Center For Arts And Technology (NCAT), is here to help! NCAT will assess project feasibility when your city is ready to begin the journey toward opening a new Center for Arts & Technology. At this point, NCAT will assign a highly trained Project Manager, supported by a team of skilled professionals, to your team. The feasibility study has been delivered and your local steering committee decides to move the project forward, now what? Congratulations! Your new Center for Arts & Technology is ready to open its doors to the public. After your new Center for Arts & Technology has been running perfectly for 12 months, NCAT offers a menu of Membership options to provide the high-quality support you need at any level.